I’ve got a ton of great fitness info and plenty of announcements in this weeks installment of The Week in Review so enjoy and have a wonderful weekend. Coaches: Quit Telling Your Clients They’re Broken! My friend, fellow coach, and Elite Powerlifter, Adam Pine, and I just started this brand new video series: The Angry Coaches. This week we talk about postural assessments, motivation, and – most importantly – why coaches shouldn’t be telling their clients they’re broken. Reserve Your Spot for My Coaches-Only Seminar in PA! 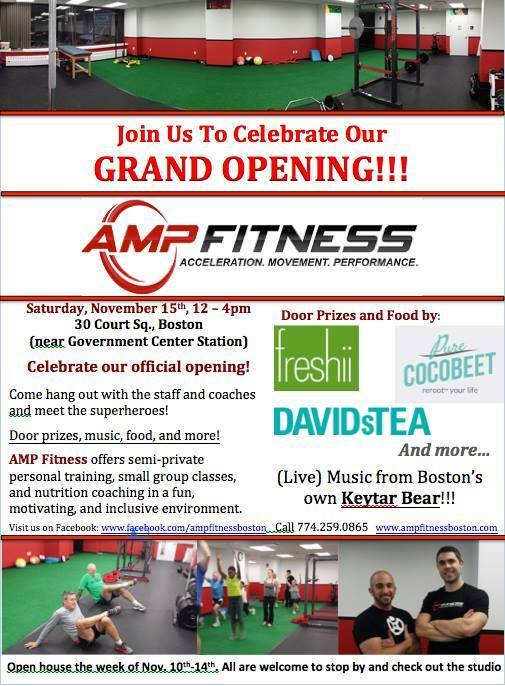 You’re Invited to the AMP Fitness Grand Opening! Save the date (Saturday, Nov 15th) and time (12-4pm) to visit Steve and I at our brand new facility, AMP Fitness! We’re having a huge grand opening celebration and we’d love for you to stop by (plus there’ll be free food and drinks) so make sure you come in and say hello.